It took us a little less than three weeks to completely fill out the Golden Ani-Versary of Anime roster. Our listing has a pretty good cross-section of bloggers and reviewers, writers and scholars, Ph.Ds and underclassmen, and I'm proud as fan to be a part of this deep analysis into the history of anime. The past fifty years have been both glorious and rocky for the medium in terms of critical acclaim, commercial success, and global acceptance, and considering its dependence on both human genius and electrical energy, the output in the next fifty years can be anyone's guess. 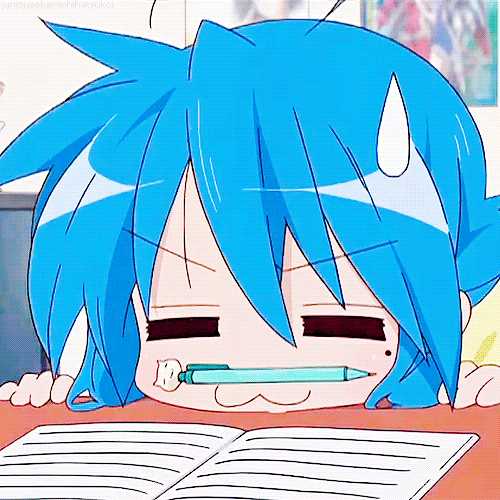 Now, it's time to...you know...do actual homework. A project this big is going to need some standards. As the editor for this project, I've been debating many different aspects for our essays. After a few questions to the Tweeting public (and a mechanical pencil to the palm to get my thought process moving), I think we've come up with a general rubric for the blog's entries. The Golden Ani-Versary of Anime: Full Blog Panic! You've got me wondering, Japan. 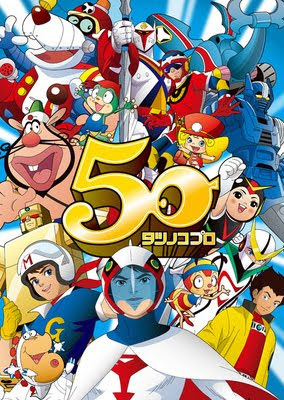 You got Tatsunoko Productions to celebrate their 50th anniversary six months before their actual 50th anniversary, but we still haven't seen a Tetsuwan Atomu 50th anniversary anime poster yet? No matter. Tatsunoko's 50th is good enough for me. Regardless, the outpouring of support for the Golden Ani-Versary of Anime has been duly noticed. This was just some uncertain shot-in-the-dark project that I thought a handful of fans would be into. Instead, we filled up the roster in the span of two weeks! Incredible! It may not have gotten the attention that a petition for political or social awareness would get, but it's still impressive! Currently, we're trying to develop a sensible rubric for all of the essays and rankings, but we can definitely say that we have a time frame in mind. In the next few days, we'll develop a strategy for essay length and content, but for now we can at least settle on a pattern. We've been hemming and hawing with various release schedules. Should it be year-long? Month-long? All done in the span of 24 hours? Should we start at 1963 and work our way to 2012? Reverse order? Should we throw darts at a Masamune Shirow calendar to randomly pick dates?It's been decided that we shall meet in the middle, both in duration and in sequence. Once the calendar flips to 2013, we will start with our first year, 1963, the year that Tetsuwan Atomu debuted on Japanese AND American televisions. Within the same week, we will also roll out an entry on 2012, thus book-ending our fifty-year trip in the first seven days. The next week, we'll roll out 1964 and 2011, then progress inwards until we get to the late 1980s / early 90s. Once we get to the last ten entries in late June, we'll randomize the order and finish with 1989, the year that the great Osamu Tezuka passed away. Each week, we'll accompany the entries with a profile of the year's timeline, covering the important events that defined the industry in both Japan and globally. Hopefully, approaching anime from its past and its present might give us all insight as to how we will view anime in the future. Some of you might be too antsy to wait to see who has been selected for what years. We've provided the entire listing beyond the jump and hidden for spoilers, so if you want to remain surprised, don't access the jump! The Golden Ani-Versary of Anime: Introducing the Payroll! We're still working on some of the kinks for the Golden Ani-Versary project, including details surrounding the length of the essays, the frequency that each post will be made, and the order that they will appear. We also have to figure out what we're going to do if we can't fill in the final ten spaces, but we still have a good three weeks or so until we'll start getting submissions. However, what we can announce is the list of the bloggers, writers, and Twitter accounts who have made reservations to contribute to this 50th-anniversary celebration for the debut of the Tetsuwan Atomu anime. We won't go so far as to say who will be writing for what year, but we'll at least give you a list of who will be lending a hand. The Golden Ani-versary of Anime: Mark Your Territory! 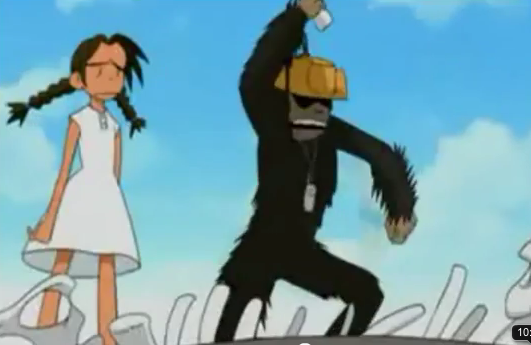 What has anime evolved from? What will anime evolve into? Will the future involve a Mawaru-Penguindrum dub? In barely under two months, a very important milestone will be reached in anime, and it is likely that many fans, no matter what genre they worship, will not realize what has come and gone. If you take a look at the overall anime timeline, you'll notice that we've already missed an important anniversary. Back on January 15, 1960, Japan ran its first animation on a TV broadcast, a three-story, 30-minute animation called The Three Tales (Mittsu no Hanashi), so we've already missed the opportunity to celebrate the golden anniversary for televised anime. We've also missed the 50th anniversary of Japan's first TV series, as the show Otogi Manga Calendar debuted in 1961. I don't know about you, but I feel bad for missing two anniversaries. I'm not going to miss the next one. Neither should you. 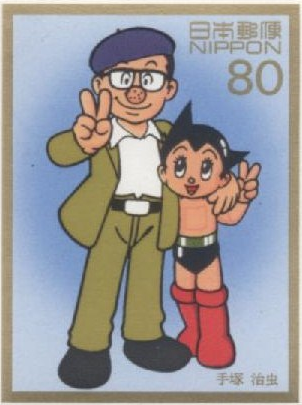 January 1st, 2013 will mark exactly 50 years since the mighty ground-breaking anime Astro Boy (Tetsuwan Atomu) debuted on Japanese television. 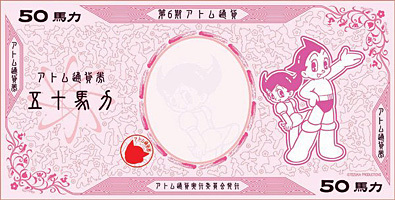 All of the DVD sales, global conventions, cosplay, maid cafes, Haruhi dance gatherings, Twitter and Tumblr conversations...all of it could be considered the product of the seed planted on January 1, 1963, when Astro Boy debuted on Fuji Television. Back in that first year, Japanese television ran a total of seven animated programs. This year, we're likely to have at least 120 new shows alone. In honor of this immense milestone, I'm going to try something new and adventurous, and it's going to require help. A Herculean amount of help. After all, 50 years of fandom would be impossible to distill from even the most talented experts, let alone a tiny reviewer like myself. We're going to need a gigantic contribution from all the fans to do this. The plan: Take that initial year of 1963. Take the most recent year of 2012. That's 50 years of solid televised anime that we need to chronicle. Therefore, including myself, we're going to need a total of 50 anime writers, bloggers, historians, and scholars to target 50 total years. It could be the year you were born, the year you first turned your attention to anime, or a year that has fascinated you historically. Regardless, we need 50 writers to write about anime, a year at a time. Your job: Here's what you have to do. Get in contact with me, either through Twitter (at @GTebbetts) or through e-mail (geoff.tebbetts at gmail.com). Reserve a single year (from 1963 to 2012). Do it fast before someone else does! Over the next year, we will go from 1963 to 2012 (or the opposite direction if it is easier), but we WILL cover every year. In order. It might go a year a week, or we might rattle through all 50 in two months, but we WILL get through them. Recommendations: we're going to need more people who want to tackle the earlier years, so be adventurous! Time consuming? All signs point to YES. In need of help? You bet. I have no idea who we can draw together for such a large aspiring project, but I think we can do it. I currently have no plans to make this bigger than a mere blog, but I think a project like this will do a lot to educate people on the history of such an amazing cultural industry, as well as unify generations of fandom under a single ideal. Who knows? Maybe all you Naruto fans will understand where your anime was derived from, while all the Ribon no Kishi scholars will appreciate what your habit has developed into. Reserve your year! Hopefully we can assign dates quickly and have our essays ready to roll by the first day of 2013! As the years are reserved, I will scratch out the dates below, so act fast and spread the word! UPDATE: We now have a Twitter account (@GoldenAni), so be sure to look for a new blog location in the future. UPDATE (11/19/2012): We now have all 50 spots filled!